Today in things that should be obvious but need to be spelled out anyway, Lucasfilm president Kathleen Kennedy has confirmed that the studio has no plans to make a sequel to Rogue One: A Star Wars Story. 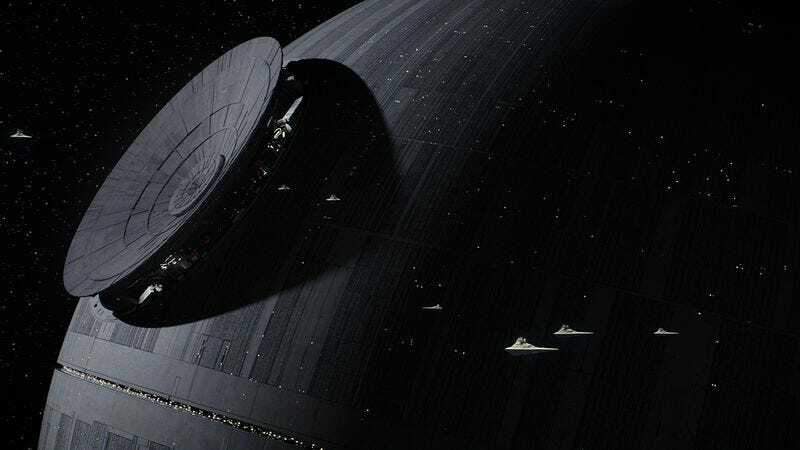 The movie is a prequel, with the plot revolving around a band of Rebel Alliance fighters who steal the Death Star plans, so the original Star Wars movie already told the story of what happens after Rogue One a few decades ago. Still, people were apparently hoping there’d be a follow-up for some reason, so Kennedy and director Gareth Edwards touched on that topic during an interview in the latest issue of Empire Magazine (via /Film). Kennedy refers to this nonexistent sequel as Rogue Two and specifically says that it’s not happening, with Edwards joking that the sequel “will be directed by George Lucas”—a reference to the fact that the sequel already exists and is either called Star Wars or A New Hope, depending on how old you are. This is a wise choice for Lucasfilm, since its current plan of switching off between numbered Star Wars sequels (like The Force Awakens) and standalone side stories (like Rogue One) is already weirdly confusing for people who don’t obsessively keep up with this stuff. If the studio threw in spin-off sequels on top of that, the Star Wars brand would became way too confusing for the average moviegoer to bother trying to keep up with. Of course, money makes people do stupid things, so there might actually be a Rogue Two a few years down the line if Rogue One ends up being outrageously successful. If that’s the case, we should all just hope that Lucasfilm doesn’t take the easy way out and remake A New Hope instead.